The late comedian, Milton Berle, once said he had a friend who swore the Bible condoned getting drunk. He argued the Scriptures taught that the one who sins should be stoned. I've heard a lot of erroneous arguments myself made from the Bible in favor of drinking. But none more egregious than the one that advocates Jesus endorsed imbibing when he made water into wine at the wedding in Cana. I don't always have the occasion to challenge this assertion, but when I do, I like to ask the proponent to show me, prove that Jesus made an intoxicating beverage that was harmful. Never has anyone ever been able to do more than show the argument is based squarely on assumption. The facts just don't sustain it. So whether one believes that Jesus made an intoxicating wine or a non-intoxicating wine at the wedding in Cana is purely a matter of personal interpretation. For the Bible never definitively says that Jesus turned water into alcoholic wine. 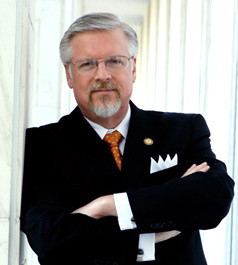 There are, however, a number of reasons why this writer believes the preponderance of the evidence is against Jesus having made an intoxicating beverage. There is a sense in which God himself turns water into wine year after year in vineyards everywhere around the world. The rains fall from the heavens, the roots take in the moisture, the sunshine, and process the elements. Slowly comes the bloom on the branches, the grapes then form and ripen. In the miracle at Cana, Jesus simply sped up the process. Fermentation, however, is something that comes about via decomposition. It makes no sense that Jesus would create something pure and at the peak of perfection and then drive it rapidly through the course of fermentation. It's true he could have done it, but why would he do such a thing? The miracle was meant to show the glory of Christ's person. Making what would have amounted to 120 gallons of a dangerous drug, while giving no restriction for its use, certainly isn't consistent with a manifestation of his magnificence. It makes no sense and runs counter to Christ's spotless integrity to purposely corrupt what was natural and healthy for a recreational mind-altering substance. The concept itself defames the very character of Jesus and puts him in violation of the spirit, if not the letter of the law of God, which reads, "Woe to him who gives drink to his neighbors, pouring it from the wineskin till they are drunk, so that he can gaze on their naked bodies. You will be filled with shame instead of glory" (Hab. 2:15, 16). Moreover, if one was to assume Jesus drank such wine in participation with the wedding guests, as some have argued, then that act in itself would have violated Proverbs 31:4-5, which reads, "It is not for kings, O Lemuel – not for kings to drink wine, not for rulers to crave beer, lest they drink and forget what the law decrees, and deprive all the oppressed of their rights." Is not Christ the King of kings? Is it reasonable to think the very Son of God would take into his body a recreational intoxicant, risk falling into sin, and endanger the great mission of the redemption of mankind? Banish the thought! Moreover, it should also be noted that Jesus' first miracle – the turning of the water into wine – was a sign of the new covenant God was making. The writer of Hebrews explains, "For this reason Christ is the mediator of a new covenant, that those who are called may receive the promised eternal inheritance – now that he has died as a ransom to set them free from the sins committed under the first covenant" (Heb. 9:15). It besmirches the fresh, sweet, stainless, incorruptible nature of the new covenant that Christ brings with a beverage of fermentation. The word "ferment" itself means agitation, unrest, commotion, tumult, turmoil and mayhem. These are all matters the new covenant in Christ remedies, erases, and corrects in life. If the miracle of turning water into wine was the creation of a beverage inflamed with alcohol, then these negative associations would seem to tarnish the purity of that holy covenant. According to the World Health Organization, alcohol today is responsible for nearly 4% of deaths worldwide, more than AIDS, tuberculosis, or violence. In the United States, its abuse is the third leading cause of preventable death and precipitates an economic drain on the nation's resources of approximately $223.5 billion annually. This doesn't even account for the costs of heartache that it endlessly brings to millions and millions of people. 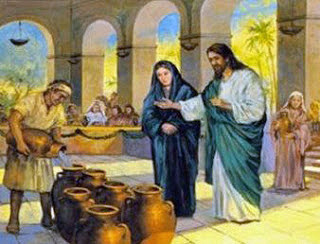 If one believes the wine Jesus miraculously made at Cana was intoxicating in nature, much like those of today, then the burden of proof lies with those who believe this to decisively demonstrate it in the text, as well as explain why it seems to find no support in the entire context of Scripture. Furthermore, they must effectively answer the question of why Jesus would create and encourage the use of a hazardous and deadly drug. For this writer, effectively addressing these assertions from Scripture is about as provable as saying the Bible endorses drunkenness because it instructs the person who sins to be stoned. The preponderance of the evidence just can't sustain such claims and makes them somewhat laughable.